Hosting a cool Halloween party? Going to set a spooky and elegant table for celebrating? Then you’ll need to think over every detail to make it perfect – styling for such holidays isn’t that easy. 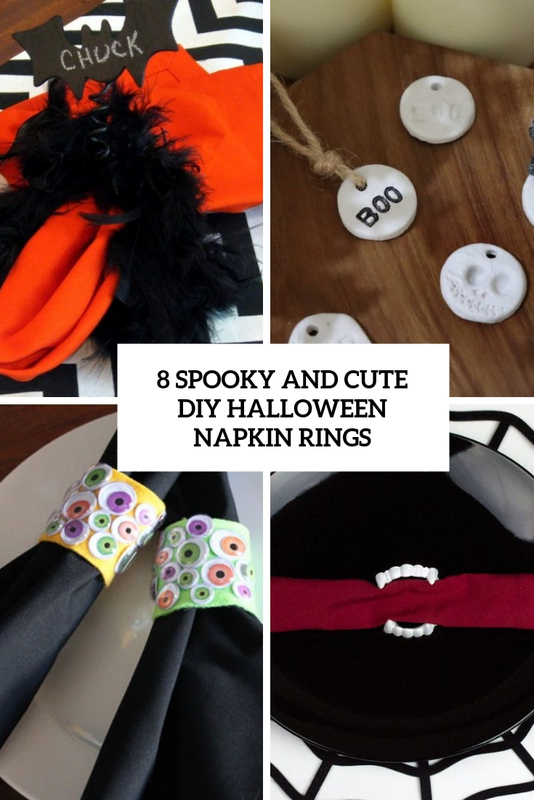 I’ve prepared some cool DIY Halloween napkin rings for those of you who have attention to detail, they are sure to add a Halloween feel to the table. Halloween is the perfect time to bring out the spookiest creatures — monsters! These monster napkin rights will add the perfect touch to your Halloween spooky soirée and your guests will talk about them for days to come! No time for crafting for Halloween? If you’re hosting a Halloween party this year, you can realize a very simple DIY project that you might want to add to your Halloween tablescape. 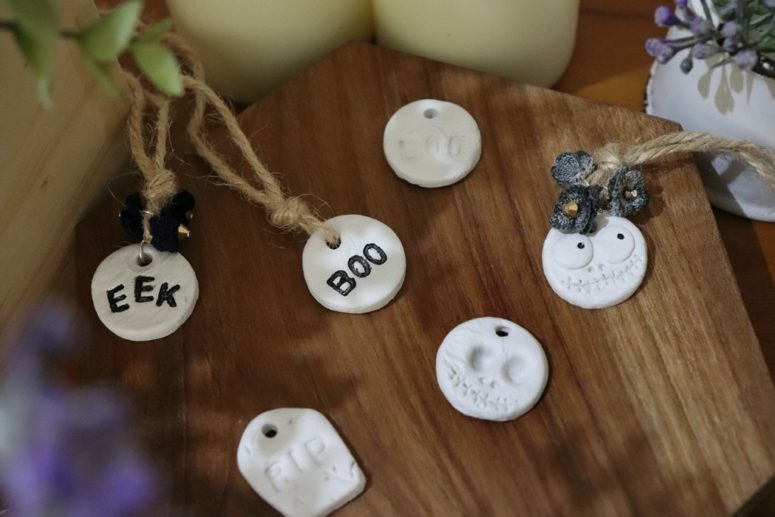 These cool clay hangers on yarn are right what you need for chic and not spooky Halloween decor. If you have time, you can make a skeleton or maybe a witch or you can add some crocheted flower in dark color. Halloween is just around the corner, and it’s such a fun holiday for adults to embrace their inner kid — the dressing up, the copious amounts of candy, it all equals fun! 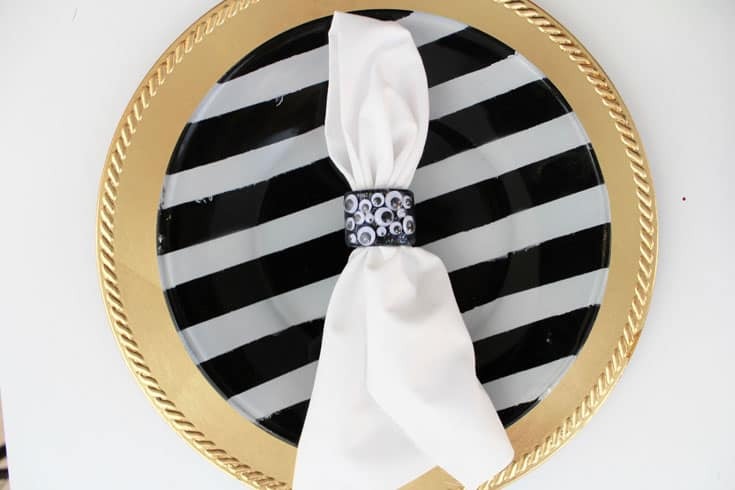 Make some cool napkin rings for the tablescape: here’s a tutorial to make them of ribbon and black felt. Cut out Halloween designs like pumpkins, cats and other stuff and voila! Spook up your Halloween get-together with these easy-to-make (and cute!) felt and pom-pom napkin rings a perfect project for kids to help create. 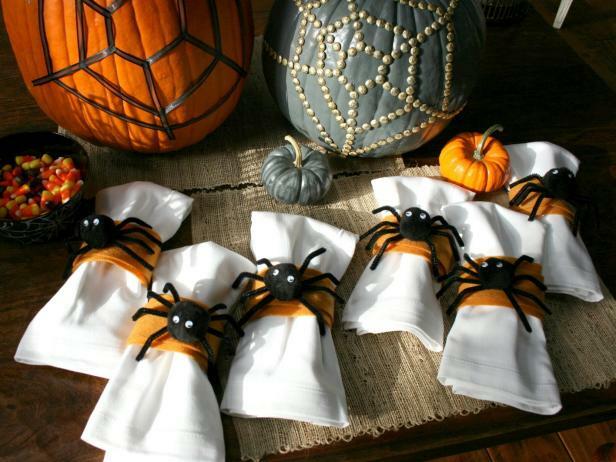 These fun spider napkin rings are right what you need to add a bold touch to the tablescape, an adult or a kid’s one. Make the spiders of black pompoms and googly eyes, keep reading the tutorial in the source. Here’s a fun way to dress up your table for Halloween to create a spooky tablescape your family will love. 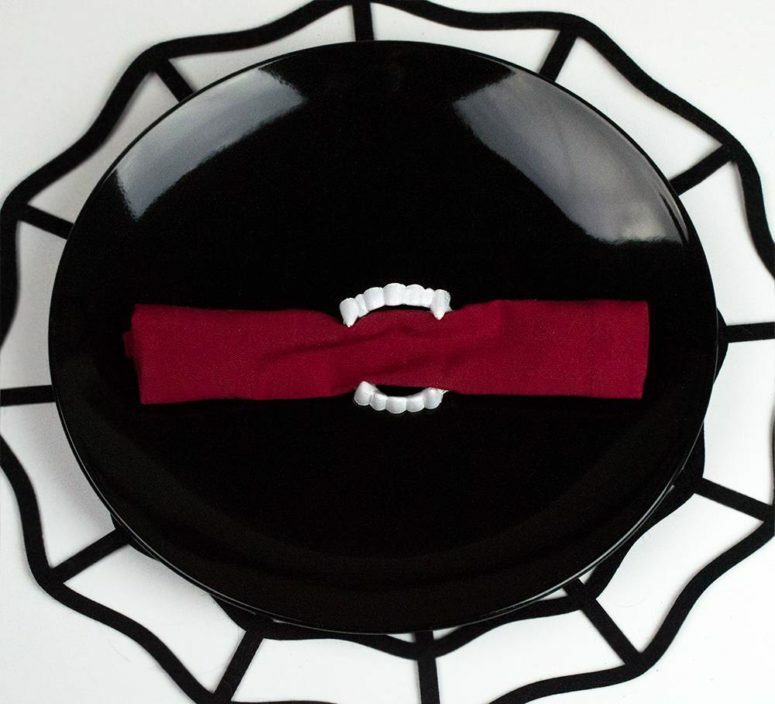 These plastic vampire fangs will make an instant Halloween napkin ring that is rather Spooktacular and still fun. 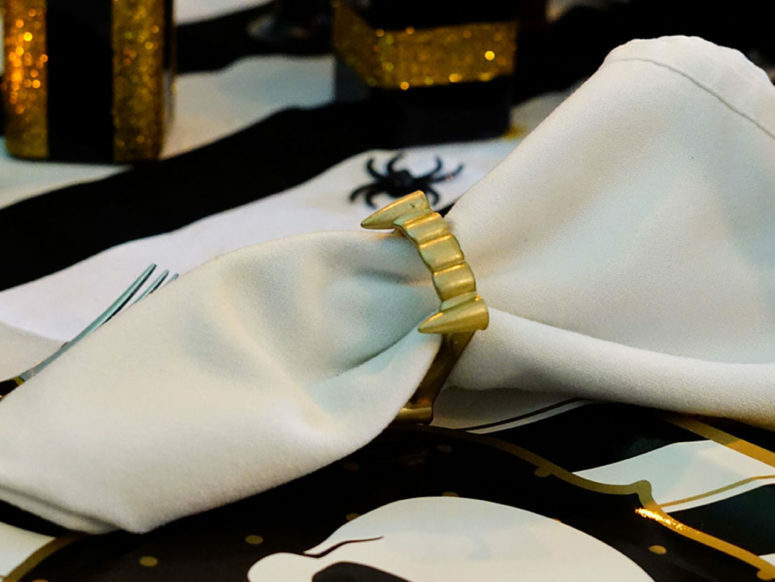 Prefer black or red napkins to create a better look! 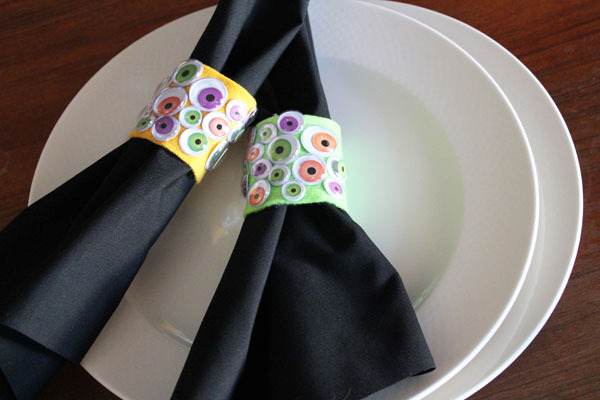 These colorful googly eyes Halloween napkin rings are great for a Halloween-themed dinner party, or a way to celebrate Halloween with children that are too old to go trick or treating, these simple to make Halloween napkin rings are sure to be a conversation starter! Making them is fast and easy, and the amount of fun is unlimited! These awesome napkin rings aren’t only napkin rings but also card holders! They are made of black feather boas and black bats that are chalkboard and allow you chalking each name on the bat. 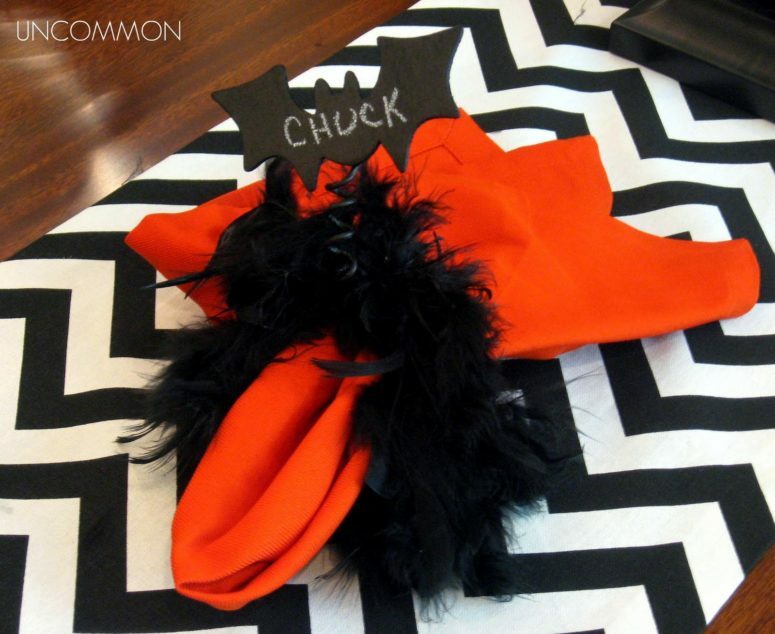 So easy and so cute, and these black feathers look incredibly Halloween-like. Here’s another vampire napkin ring idea, this time a bit more glam than the previous ones as they are spray painted gold. 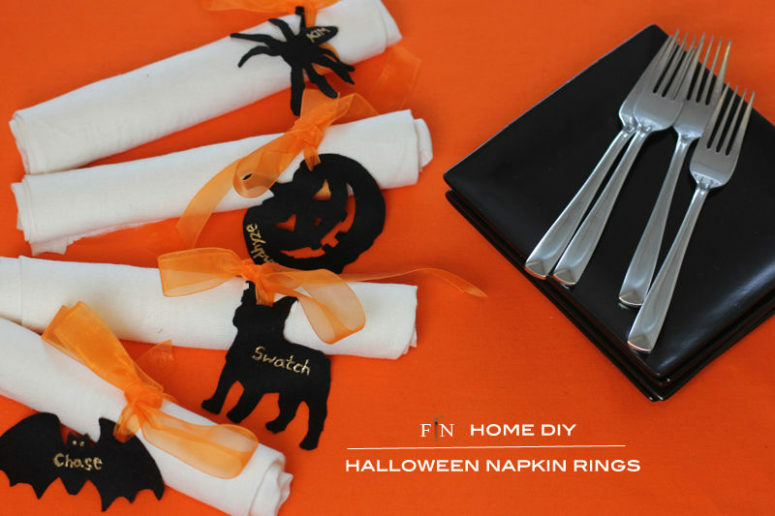 Take a bite out of your Halloween decor, and set your table with these easy DIY vampire fang napkin rings. Your guests will surely be spooked when they go! These truly are the easiest to make still they make such a fun unexpected addition to the table setting, and on Halloween, that is what it’s all about!